Google is moving ahead with Project Loon, a plan to use high-altitude balloons to provide Internet access to remote areas. But there are some challenges ahead before the project goes mainstream. 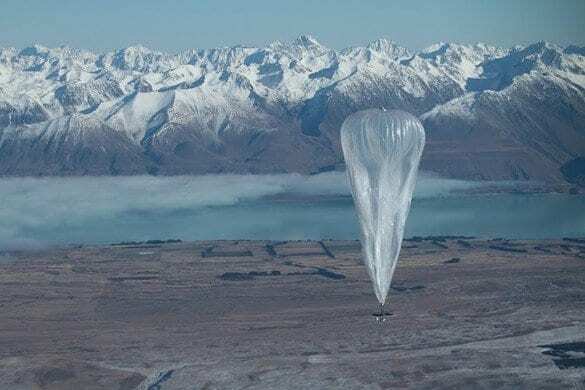 The history of Google’s moonshot project to provide global Internet access using high-altitude balloons goes back nearly 1800 years, according to Google[x] chief technical architect Rich Devaul. That’s when, according to legend, a Chinese general sent a floating lantern into the sky to call for more troops. The fundamental insight that would fuel the now (literally) full-blown project at Google[x] was of the “fast, cheap and out of control” variety. “Many people had proposed using either tethered balloons or stratospheric airships,” Devaul says. “I decided that maybe that’s not the right problem to solve.” Instead, he wondered, what if the problem was figuring out how to keep the globe covered with a network of constantly moving untethered balloons? The fruit of that idea is “Project Loon,” which launched its first public trial last month in New Zealand, using 30 balloons to try to bring wireless signals to 50 testers includingsheep-farming entrepreneur Charles Nimmo.